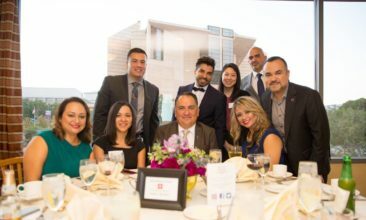 As housing costs continue to increase in Los Angeles, along with the cost of education, more students are going hungry. According to a new report from the Government Accountability Office, there are potentially millions of college students at risk of being food insecure across the U.S. 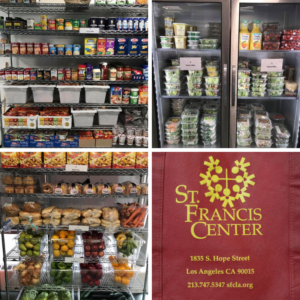 Starting this past September, St. Francis Center launched a satellite pantry at the University of Southern California, called the Trojan Food Pantry, to provide free, nutritious groceries for USC students experiencing food insecurity, including low-income students, international students, and graduate students, some with families. The USC satellite pantry is open four days a week and students can visit weekly to get fresh, nutritious groceries. In 2018, students made 2,315visits to the pantry! This year we look forward to opening more satellite pantries for students and families in our surrounding communities. You can help make this happen by donating today! Make a donation today to support both our on and off-site pantries!